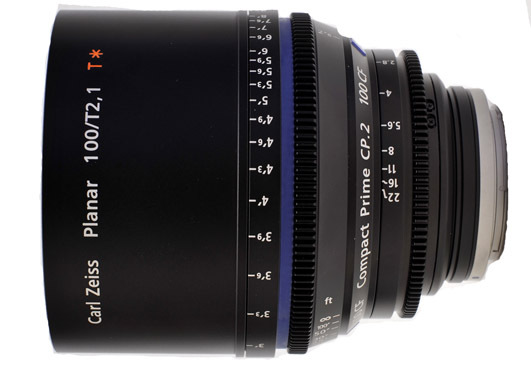 The Zeiss CP.2 100mm T2.1 F Mount Lens combines the sharp resolution, high contrast, low distortion and perfect color rendition of Zeiss with the cinematic features of professional video lenses. It features a 14 blade iris, a bracketed manual focus ring, and a longer focus rotation that's suitable for cinematography. It also exhibits great flare suppression through T* anti-reflex coatings and internal light traps. The standard focus and iris gear positions, along with a robust and reliable cine style housing, makes this telephoto lens ideal for any production. • Compatible with F (Nikon) mount cameras with sensors sizes up to full frame.